What is Contemplation? Here is but one definition: It is an immediate and in some sense passive intuition of the inmost reality, of our spiritual self and of God present within us. The Running Time of this show is 80 minutes with no intermission. Douglas Hertler aka Doug Lory, holds a BA in Speech/Comm/Theater from Monmouth University. He is a professional actor and licensed NYC tour guide, as well as an actor/educator at Fordham University School of Law. 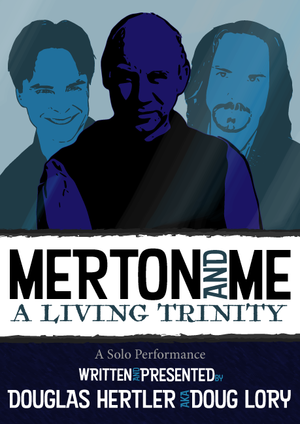 Doug is a member of the International Thomas Merton Society (ITMS), the ITMS NYC Chapter, as well as a member of the American Teilhard Association. 6:30 PM A light supper will be served.